presents to be a distant memory. What I Say.....My second book of Christmas 2014, and this one was a winner. Evie flees London, choosing to stay in rural France, without Internet, TV or even reliable electricity, in order to avoid Christmas. She has recently suffered a stillbirth and her marriage has fallen apart in the wake of her grief. Being alone feels like the only way to survive the holidays. Once she arrives in the countryside, she discovers some kindly neighbors, and a doctor who lives next door that looks like Bradley Cooper (I love fantasy chick lit! This book reminded me of one of my favorite Christmas movies, "The Holiday". I want to live this story). As they get to know each other and share their mutual grief, an evolving relationship helps them both to look forward to the future and new love. 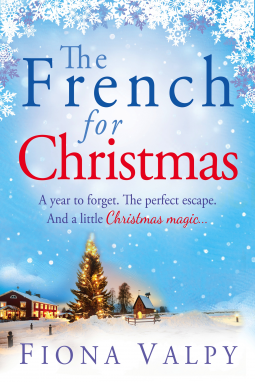 However, a kind email written to her estranged husband in a moment of forgiveness causes a surprise to turn up on Evie's doorstep during Christmas lunch.